Luxury vehicle meets race car! This Range Rover has the get up and go when you want it with a supercharged 4.2L V8 engine. 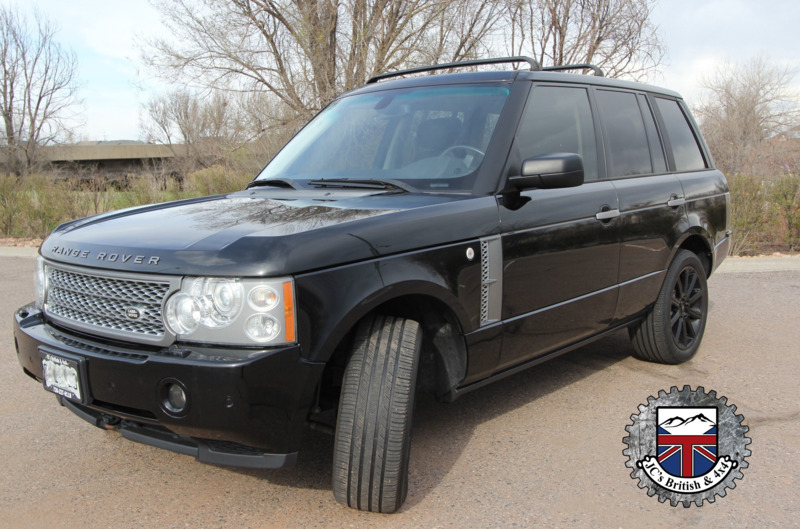 This low mileage Range Rover has a NEW Eriksson 6-speed automatic transmission, NEW front and rear brakes, NEW front control arm bushings, NEW alternator, NEW rear vision camera. Also equipped with Commandshift, 4-wheel drive, Electronic air suspension (EAS) system, Anti-lock brakes (ABS), Load-leveling, Power tilt/sliding sunroof, power mirrors, Rain-sensing front windshield wipers, Memory driver seat, Heated front and rear seats, Heated steering wheel, Power tilt/telescopic steering wheel, Dual Air Bags, Side Air Bags, Power windows, Cruise control, navigation, Homelink system for garage doors & security gates, Front center console storage box, Dual-zone climate control, Front/rear window defogger, Front/rear park sensors, Back up camera, Rear seat entertainment system, upgraded LED headlights.